Guilford County Register of Deeds Jeff Thigpen announced today that he will be conferring with County Attorney Mark Payne, NC Attorney General and Secretary of State as to whether the Mortgage Electronic Registration Service (MERS) owes Guilford County fees estimated at $1.3 million in lost revenue from mortgage assignments. Thigpen also wants to review pending legal actions against MERS and consider options to protect the integrity of public land recordation offices. MERS has an electronic registry and database system that tracks more than 65 million mortgages for its paid membership throughout the country and aides the mortgage backed securities trade in the secondary market. 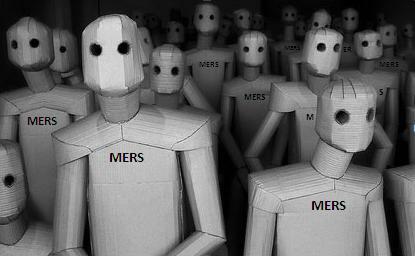 MERS is reportedly involved in 60% of US mortgage loans. It was established by some of the largest mortgage lenders in the United States including Wells Fargo, Chase Mortgage, Citi Mortgage, Countrywide Home Loans, Inc. and Bank of America among others in 1997. A number of class action lawsuits and civil racketeering suits have arisen against MERS recently, including a suit alleging its members owe California $60-120 billion for circumventing land recording fees. MERS has also been at the center of recent foreclosure chaos. I’d love to know where to find more information on this Yvonne J. Wheeler. Her signature appears on my docs and I’d love to compare that signature with others to show there were robo signers. Is there actually an Asst. Sec. with this name working for MERS? As you can see their is our spot 2312 pacific view court, san leandro and it says the beneficiary bought it back after parties agreed the first number is their trustee tracking number concerning the sale Registrar of Deeds Thighpen so to all parties you can go to this cite and put in your state and county and date on trustee deed of sale to see if you can find yours but it has to be on one of the REO real estate owned property web cites so since two police officers and two sheriffs were in our residence and gave the women no respect and I watched them put their hands on these women and tell them they would have them out the property before the san leandro police could respond to the 911 call of residential burglary I sad as it may seem I watched them stand their ground to people wearing the uniform of the courts but sheriff H.S.Woods is no officer of the court he is a terrorist with guns, Police Officer Malloy did detain the agent in business with Sonnys Limousine that provided them with each requested order of the courts and rent receipt mailed from Buffalo bankruptry Court Judge M J Kaplan to Alameda County Superior Court Judge John True III Department 512, 24405 Amador Hayward California Sent 1 January 7, 2011.
you are 100 TRILLION TIMES CORRECT AMY REAUX, THE POOLING SERVICING AGREEMENTS DO STATE EXACTLY THAT AND ALSO IT STATES IN ALTERNATIVE LOAN TRUSTS WHICH IS WHAT COUNTRYWIDE ISSUES IT CLEARLY STATES THAT THE MASTER SERVICERS CAN ONLY COLLECT 3.75 CENTS ON EVERY DOLLAR OF THE TRUST AND ALL THEIR FEES HAVE TO COME FROM THAT AMOUNT OR IF THEY FAIL TO PRODUCE MORTGAGE DOCUMENTS WITHIN FIVE DAYS THE SERVICERS IS FIRED AND THEIR ERRORS AND OMMISSIONS INSURANCE POLICY HAS TO PAY THE DEPOSITORS THAT IS WHY THEY HAD SO MANY SERVICERS BECA– USE THEY GOT FIRED. SOMETHING ESLE THAT SHOULD MAKE YOUR DAY BORROWERS THAT FILE CHAPTER SEVEN DISCHARGE BANKRUPTCY CASES GOT WORSE ADVISE THAN LEHMAN BROTHERS OR MADOFF. WHY BECA– USE 11 u.s.c. 547 OF THE BANKRUPTCY CODE STATES CRIMINAL RESTITUTION IS MOSTLY NOT EXCUSABLE DEBT SO ALL THE BANKS THAT ENTERED INTO PLEA BARGAINS OF GUILT SHOULD HAVE FILED SEPARATE RE-ORGANIZATION BANKRUPTCY CASES FOR EACH Borrower it is called a Bankruptcy Reaffirmation of Debt. Then Fuhl would be sitting in his building in New York Collecting serious money because borrowers and tenants are still in the properties willing to pay, but the debt collectors are not giving them the money. So BRAVO to Wisconsin People Signing the Petition to recall the senators We do it in california anytime. WE THE PEOPLE BY THE PEOPLE AND FOR THE PEOPLE reminds me when my moma use to say I brought you in this world and I can take you out. So Lehman Brothers holding all the loan documents in the trusts accounts that most borrowers did not know their mortgage paperwork was given to as collateral and so just fire the attorneys, and contact the borrowers and inform them who actuall has their note and that will get the money to the right holder of the note everytime we ask NORTHWEST TRUSTEE Services or NORTHEAST TRustee Services for GMAC Mortgage the Old GMAC for the trust documents on the property, no response. roberteberwein@netscape.net , has agents for service and he was employed at NUMMI a GMAC and TOYOTA Car Plant in Fremont whom since, 1991-1993 invested heavily in bank stocks REIT REIC’s. He has been gaining ground every year against his CWALT 2005-41 trust that attorney Glen N. Navis [special appearing attorney in about 9,000 cases in the upper bay area in california. So he has researchers that go everywhere and read Business Entities listed on your Deed of Trust on the year you signed it. Tonight as all you sit in your residences, our businesses and family that was the major researcher for the Issuance to such agencys as Office of Comptroller of Currency which can cancel a banks business license, they through their Realtor Re-Max showed up with a old Writ of Execution from a law firm named Schultz. first 200,000.00 was put down in 2005 when the realtor told my landlord Harvey Atkins that there was a bidding war and required almost 200,000.00 over the value of the property and sold a ARM as to Fixed Mortgage. The Names on the Deed of Trust and the interest rates the Lending Bank transferring the servicing rights on a Substitution of Trustee Deed of Sale; as required by the deed of trust was all that got changed because it says it on the Substitution of Trustee Deed of Sale that it is for accomodation purposes and no effect on title saw that today at county recorders office in Alameda. But what was most disturbing is that Prommis Solutions Holdings, Inc bought out Cal-Western Trust Deed, Inc dba Cal-Western Reconveyance Corporation of which former Partner of Moss Pite & Duncan & Melmet continuing to do business in the same building 525 E Main Street, El Cajon California are the law firms for all the lenders. None of the Banks prepare the paperwork it is done in that office by computer because of powers of attorneys filed in HSBC Bank Corporate Hequarters Office in Buffalo New York. If you want to find the missing paperwork and what trust fund your loan was transferred to you can look in our bankruptcy case filed in Buffalo New York 10-10036-MJK and print it out and start finding the SEC File that the Real Estate Companys drafted the paperwork knowing that it was coming from money not from the bank or the lender but the deposits of pension funds such as workers such as yourself. So Pite and Duncan & Melmet of San Diego signed a 20 year contract with their old partner Gerald Moss and Wife and Sit on the Board of Directors of Cal-Western Reconveyance Corporation in the same building although all the unlawful detainers of which they never want money on the date of the trial, they just want a court order from a state court judge to make the world believe that the court that has jurisdiction is where the property is sitting. It is not the loan paperwork is turned over to the SEC File Trust account to get the money from the trust you thought came from the banks. That is why borrowers are getting their homes free because Cal-Western Reconveyance and MERSCorps, Inc, Mortgage Electronic Registration Systems are bought out wholly owned companys’ of Prommis Solutions Holdings, Inc now registered under their new name Prommis Homeowner Solutions according to california secretary of state foreign corporation as it is a delaware corporation so is it wholly owned california law firms which do 69% of their business and Pite and Duncan are required by law in state and federal court whom their parent corporation instead of saying that the plaintiff all the banks that they are the trustees on, when they through Yvonne J. Wheeler working out of the same office for years so why could she not sign her own name and put the loan number information on the unlawful detainer and produce the HUD-1 Form and Cashier Check on the date of the Sale? They have their own title and closing company of which she puts it up for sale under one of her employment names and buys it back in the wholly owned company of Prommis Solutions Holdings, Inc. Then the Partnered Lawyers send notice to occupants in the properties to make the payments not to the Banks but the Pite and Duncan Trust. Why would you tell me to make payments to you and not the bank you claim bought at some sale and why when the sheriffs show up do Re-Max, Harold Joseph Hutchens, June McDaniels Williams T. Booker Prudential California Realty of Berkeley California sign for Banks that got put out of business in california such as Bank of New York, and The Bank of New York and their seat was given to another Bank? So today I was at 2312 Pacific View Court, San Leandro along with Doris Atkins, and Business partner whom was in the office downloading that the Foreclosures of HSBC Bank had been stopped today when the doorbell rang and she answered it and it was RE-MAX agent in Black mercedes with old writ of possession not for money just against one adult. No mind that State Court Judge John True III had gave a fifteen day extension and then they filed an Involuntary Petition against parent corporation of Pite and Duncan, Great Hills partners, cal-western reconveyance corporation LPS, LPS Default Services all companys bought out by Prommis Solutions Holdings, Inc so that everybody would believe they were still california companies when they are subsidiaries of delaware corporation doing business and not telling or giving an accounting in court as required. So sheriffs and we called the san leandro police and filed a residential burglary charge against RE-MAX and Sheriffs for breaking the law and having read all the papers they the sheriffs twisted arms and removed from the property after being asked to be arrested so a police report would be made, innocent till proven guilty. RE-MAX Realtor had no paperwork and there are six Children and of Which Three Adults and one is 18 and 20 are sleeping on the floors of church members, because the sheriffs said go get another order and get the keys back from Re-MAX realtor. I could not believe that when asked to be arrested that she was placed in the police car and finally received a citation from the police so we could have our day in court remember that woman that was in florida where she can not sleep because they were turning the keys well In the door I will not tell you the behavior or comments. What i can tell you is that I saw for the first time in my life Doris Atkins hold her ground against a person in a uniform wearing guns, and she kept saying I want paperwork you are from the bank, and I am not going to hurt you you have guns I am mad you are trying to take my house and where is my 200,000.00 did you spend it on your mercedes. So tomorrow we will try to find a judge that will be honest and honor the fact but we will be filing an involuntary petition against Prommis Solutions Holdings, Inc. for locking us out with no warning and nine people is alot to find shelter immediately with no notice and only the clothes on our backs, pray for family and business partners, that helped us stand strong for our rights. I have submitted evidence of a shadow counterfeit mortgage fraud/ID Theft racket to a few government agencies, including the IG of one government agency that apparently has been used by a government employee(s) as a front for ID Theft/mortgage fraud. The IG refused to investigate!, and told me not to send any more documentation, because it will not be read. They clearly never read what they had received! Are they scared? Stupid? or What? The evidence had been reviewed by govt agents who said it was clear and convincing, and needed to be provided to the IG of this thugs govt employer. I was assured that the IG was not a political organization, and would not cover up for this thug, and an investigation was the mandate of the IG, and the thug would be investigated. WRONG! (Unless he is already under investigation). What is going on? This is very serious. He is a govt employee! He apparently has protection! What is going on? Why no investigation to at least clarify what the documents so strongly suggest? Is he involved in ID Theft/Mortgage fraud or not? Why won’t they investigate? The documents say he is, including use of MERS. Something is VERY wrong! I just sent this article to my local county Clerk of Superior Court and a copy to the publisher of our local paper t(the official “county organ”) that the clerk uses to publish official notices.